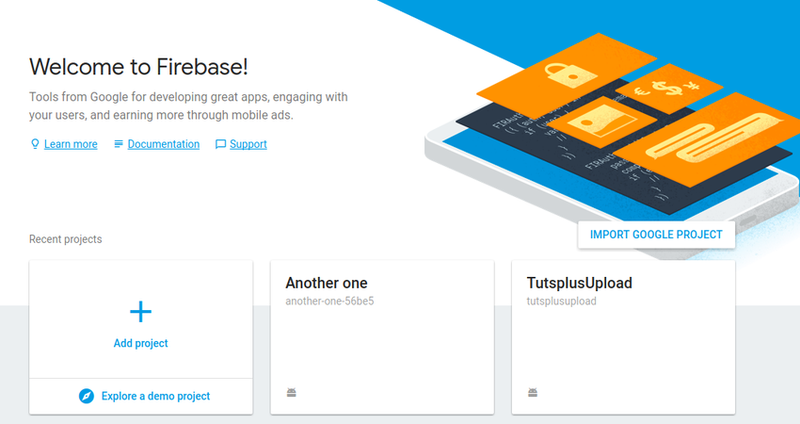 Ionic components, for the most part, are what make your hybrid app come to life. 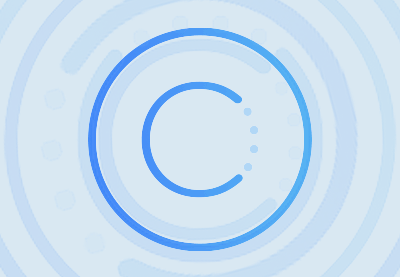 Components provide the user interface for your app, and Ionic comes bundled with over 28 components. These will help you create an amazing first impression of your app. Of course, you can’t use all of these 28 components in a single app. How to decide which ones to use? component is constructed, all we need to know is how to properly use the relevant component. When to Use Ionic Components? As a beginner, I doubt that there will ever be an app you develop that will not make use of Ionic components. It is also possible for you to develop your own custom components, but that is a topic for another day for advanced usage of Ionic and Angular. Lists are one of the components you will also regularly use in your Ionic apps. Take a look at the screenshot below for an example. Now that we’ve gathered a bit of info on Ionic components, let’s try and put a few of these ‘building blocks’ together. 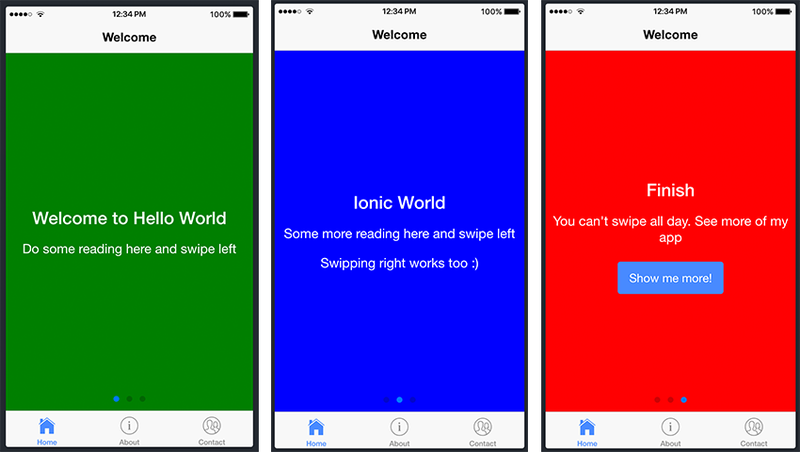 Let’s go ahead and add some components to our Ionic project. As you can see above, we’ve added three slides using the slides component. This is inside Content here.... You can generate as many slides as you want, but for the purpose of this example, we’ve only created three. 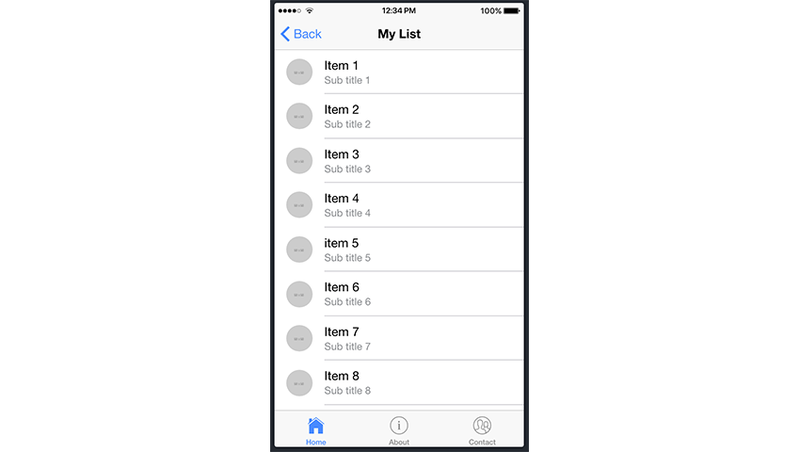 We’ll use another Ionic component: the list component. In order to do so, let’s go ahead and generate a new page titled my-list. 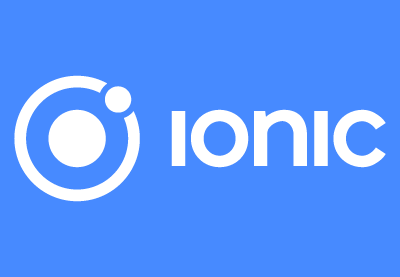 You should remember how to generate a new page from the previous tutorial using the following command: ionic generate page my-list. With the above code added to your app, you should be able to see a list with three items. Now that’s fine, but I’m sure you’d like to see some smooth scrolling with acceleration and deceleration when you scroll through the list, right? Well, that’s easy to achieve—we just need a larger list! If you update your file with the longer list above, you will see scrolling with acceleration and deceleration. Now this is one way of creating a list in our project, but it’ll seem pretty annoying if we’ll need to create a list with even more items. That would mean writing ...content... for each one. Luckily, there is a better way, and even as a beginner, you should try following this same method when working with large sums of data and information. The magic in the code above is the use of the Angular directive: *ngFor. 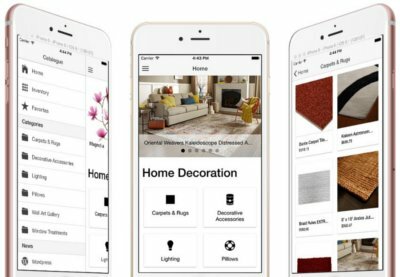 We won’t be diving deeper into what this directive is and what it does, but in short, it iterates over a collection of data, allowing us to build data presentation lists and tables in our app. items is a variable that contains our data, and item is filled in with each item in that list. If you want to learn more about this directive, please take a look at the official Angular documentation. So, basically, you can also add additional components inside the list component. Have a look at another great example of how to achieve this in the List In Cards example from the Ionic docs. Again, implementing *ngFor in that example will be of benefit. In the example above, we are populating our items inside our constructor file, my-list.ts. 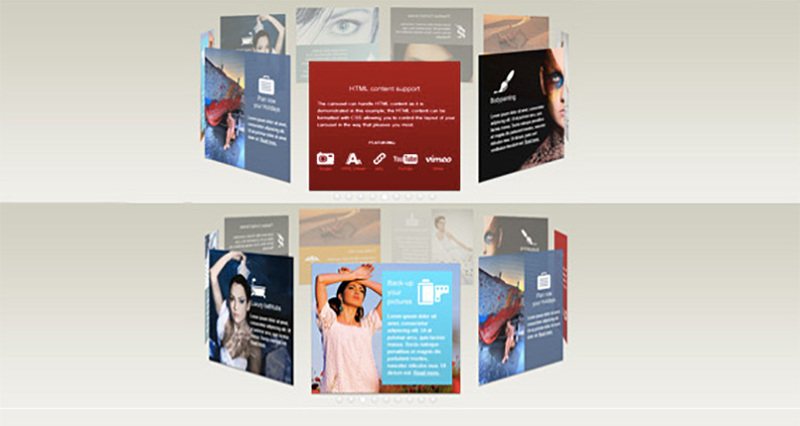 These will be displayed inside our page template, the my-list.html file. This data can come from any source: a local database, user input, or an external REST API. But for the sake of this example, we are just hard-coding the data. 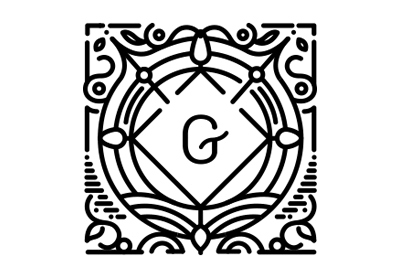 Although we didn’t cover all of the Ionic components, the same principles apply to the others. I would like to encourage you to play around and test the rest of the components and start getting familiar with using them. As I mentioned right at the beginning, these components are going to be the building blocks of every Ionic application you’ll ever build! 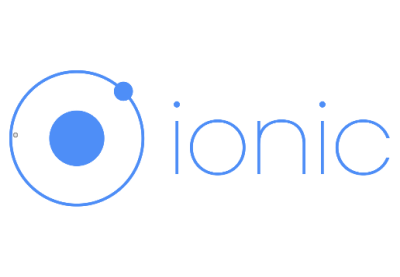 In the meantime, check out some of our other posts on Ionic app development.